I Have No Secrets: a slow burn, but shines bright by the end. “Jemma knows who did the murder. She knows because he told her. And she can’t tell anyone. I had seen this book floating around on twitter for a while and it appealed to me. I didn’t know much about it at the time which I bought it. The cover was simple and endearing. I wasn’t sure what I was getting myself in for to be honest. I struggled at first. There were times I wanted to throw this book at my wall and be done with it – it was a very slow burn, but I persevered… I like to think that there aren’t many books I DNF. Jemma is a young girl with cerebal palsy and she can not communicate with anyone around her. She is just an observer in life. She finds out people’s secrets; they share things with her because they know she can’t pass them on; she knows things and sees things that possibly wouldn’t be given to her if she were able to communicate. She finds out something terrible – someone commits a murder and she can’t help. It frustrates her to no end. It frustrated me. There were times I just wanted her to be able to communicate somehow. I think this is why eventually the book became a quick burn to me – something changes and this changes the book entirely. This book is filled with characters I really liked, and characters I hated. I loved Jemma’s family dynamic. There’s some complicated relationships going on but her family I really liked. It’s a diverse family with some strong personalities. I really liked Sarah. She was everything which is good in the world to me. She looks after Jemma like a friend, sees her as a person. Yes she does some questionable things, but knows that Jemma is important. There is one character who I utterly despised. I don’t often dislike characters that much, but him, I really did. I won’t spoil anything, but if you read it and figure out who then please share your thoughts with me. 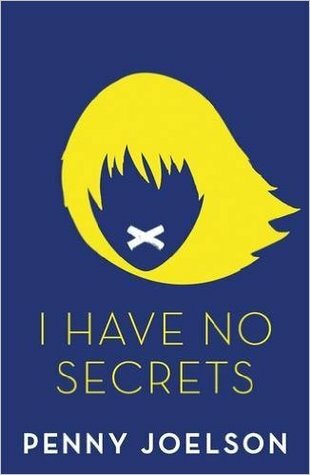 Have you read I Have No Secrets? What did you think of the premise and the characters? How would you feel if you couldn’t communicate? Let me know in the comments or on Twitter (@eenalol).